Events should ALWAYS be this easy! Let us be your guide. Wow!!! The venue was absolutely beautiful … the food was incredible…everyone raved about the place. …extremely helpful…made it so easy!! …The entire wedding was absolutely dreamy, breathtaking, and more than I could have ever hoped for! Y'all made everything so perfect and easy for us! It was the most magical weekend!! I feel lucky to say I had my dream wedding at The Bell Tower! This venue is beyond gorgeous, there basically was no need for a planner. The place is so gorgeous that it does not need a lot of decoration. I would definitely recommend using this location for your wedding! Amazing and beautiful venue. I was so pleased with the way they ran their business....it made wedding planning very easy. Everyone that came to my wedding went crazy over this place. This place is so beautiful! …very friendly and organized which made life for me much easier! The food was amazing!!! 3 weeks after my wedding people are still raving about the food, I was so happy! I could not have picked a better place to have our wedding! …had a wonderful experience. We were very impressed with the venue. Scheduling the bridal portraits was easy too…everything was organized and well-run. The food was delicious and ready on-time. Everything went off without a hitch…everything ran smoothly. The ambiance of the room was exactly what I envisioned for my wedding day. I received countless compliments from our guests who were impressed with the venue. I highly recommend The Bell Tower for a beautiful wedding no matter the size and their attentive staff. We had a wonderful time and will never forget the memories we shared there. My husband and I had a great experience at the Bell Tower on 34th I liked that the Bell Tower made it easy... Everyone who came to the wedding was blown away by the venue and the little bit I had to do to make it look amazing. I was impressed with the turnkey capability for ease of planning and execution. Service was impeccable. Prices extremely reasonable compared to hotel or upscale venues around Houston. Extremely pleased. …they made the planning of the wedding so much easier…The venue is absolutely beautiful …I cannot rave enough about the food! Most of the compliments we’ve gotten about our wedding have been about the food. The Bell Tower is an excellent place to host your event and I highly recommend it! Everything about the Bell Tower is so streamlined and they have everything down to a perfect science so that couples don’t have to worry about anything! Their online system for payments and booking bridal portraits and tastings was so easy to use. I didn’t have to worry about anything… Everyone has raved about how pretty our venue was and how amazing the food was! The food and the service of all the wait staff was unbelievable! We had the best wedding ever! I could not have asked for a more beautiful venue…just made my job so much easier… I would recommend this venue…to anyone looking to have a magical wedding experience. We LOVED our wedding at the Bell Tower on 34th! …the whole planning process so easy… All of our 200ish guests enjoyed our wedding. We have received compliments about how flavorful the food was, how organized the whole event seemed, and how beautiful the entire venue was. The entire day was magical and something we will never forget! They have made the wedding planning process so easy and enjoyable. The food is fantastic, the staff is great…Hands down one of the best, if not the best, venues in Houston. Everything flowed smoothly and the whole event was just lovely. Everyone loved the venue, the food and the fun. I would recommend this place to everyone. It is so beautiful, which makes for breath taking pictures. The food was amazing… My day couldn't have gone any smoother. … The food was delicious my guest raved about it… Everyone loved the food…Everything was coordinated to perfection and everyone there did awesome… it was like a dream!!! …helped us pull off a smooth easy going wedding we could've ever ask for!!! If I could do it over I would choose this venue over again!!! We had such An amazing event! First of all it is a beautiful venue so we got so many compliments on that. …the event itself was so smooth- Everything went off without a problem. It really allowed myself and my now husband to enjoy our night without worrying. The food was delicious and we got so many compliments on the food as well. Our wedding was amazing! Everyone said its the most beautiful wedding they've ever been to. It was easy because this venue was so beautiful that it hardly required any decorating. I wouldn't have wanted my wedding anywhere else in the whole world. …our wedding was a huge success… Everything flowed smoothly and I did not worry about a single thing … guests are still raving about how much they enjoyed themselves …such a wonderful, magical experience. The most Stunning venue EVER! Beautiful location..Amazing food/drinks..Outstanding service from the staff…everything went smooth! Our experience with The Bell Tower was officially fantastic! Having your wedding at The Bell Tower will lower your stress levels by a million …you'll hardly need to decorate because the building and grounds are so beautiful, as is …we were thrilled with our wedding at The Bell Tower! GREAT staff, worth the money, beautiful place, and LOW STRESS! The venue is beautiful! Many of our guests commented on what a gorgeous venue it was. Aside from the beauty, the food was also excellent! Several people told us it was the best wedding food they had had! …the day ran smoothly. I would highly recommend this venue to anyone! The food was delicious, the staff were pleasant…the entire event ran smoothly. My guests and I had an amazing time, and everyone had lovely things to say about it. I definitely recommend The Bell Tower on 34th, if you're looking to have a fabulous event. …amazing and memorable… went above and beyond to help things go smoothly…exceeded our expectations, and we will be sure to highly recommend the Bell Tower. The evening flowed seamlessly and the rest of the staff was efficient and helpful. Our guests kept commenting on how delicious the food was and how beautiful the venue was…each and every moment of our day planned out and executing wonderfully. We would absolutely recommend the Bell Tower on 34th! The Bell Tower was the most gorgeous… Even better than the sheer beauty of the venue was the customer service…we received outstanding service... I could not have been happier with the outcome of the most important day of my life. … very professional and on top of everything …Our entire staff had a wonderful time and enjoyed the food, drink and facility... We will certainly use this facility again and recommend it to everyone who asks or is need of a party or meeting facility. Thank you again The Bell Tower Awesome experience...Love this venue. This venue is GORGEOUS!!! The staff is Awesome!! Every last one of my guest said the food was delicious!! I was so happy from beginning to end. They took care of us…attentive, professional and patient with me … I could not have asked for a better staff. If you want an elegant venue with superb customer service look no further. I LOVE The Bell Tower on 34th!! The Bell Tower exceeded our expectations… They made the wedding perfect… The scene was awesome. …the past 3 years and it's been a success every single year! ...I was able to enjoy myself with no worries. …the entire staff was so courteous and helpful! ...I highly recommend the Bell Tower! …Our guests have said over and over that it was the best wedding food they have ever had! ...I didn't have to worry about anything …I would recommend this venue to anyone. Thanks for making our day a special one. This place was more than my husband and I could ever dream of! If you are looking for a place that is absolutely beautiful and will completely take care of every detail, this is your venue. What an amazing facility in the middle of the city… It was an amazing event and would highly recommend the Bell Tower on 34th. The venue has a natural beauty to it and is not necessary to mask the venue with lots of costly extras. One has to experience it to appreciate the true elegance of the venue and all they have to offer. …all of my guests were in awe of the beautiful venue. …I have been inundated by people coming up to me and telling me what a beautiful wedding we had. These compliments not only came from people who attended but also people who heard or saw on Facebook how beautiful everything was…all the details of the evening proceeded without a flaw. …everyone had a wonderful time... We could not have asked for a better outcome. We LOVED our wedding day at the Bell Tower! We couldn't have chosen a better venue …Everything was perfect and beyond our expectations! Our guests can’t stop raving about the venue and service and the overall experience. This venue is beautiful… Our guests are still raving about the flawless service they received. Thank you, Bell Tower, for making my daughter's wedding a dream come true. What a beautiful event it was. The food was delicious. People loved this event and said that they really had never been to a more beautiful wedding. It could not have been more beautiful. Thank you Bell Tower Staff. We had an amazing experience. The venue is just beautiful all around, so you don't need extra props and such to decorate it! Very very happy with our experience from the start until the end! I am so pleased with the high level of detail and service that we received. I can't thank the Bell Tower Staff enough for making our wedding night perfect. The catered food was delicious and our guest felt welcomed and taken care of. Ask anyone who attended our wedding and they will say that our wedding day was picture perfect. The Bell Tower is a truly magical place to share the most intimate and special moment of your life. This venue is absolutely beautiful! Our wedding was gorgeous and very well executed. It was immaculate. The venue was completely stunning. Our guests were all amazed by its beauty...The food was delicious…we couldn't have asked for anything to be more perfect. It was a Fabulous Fairy Tail!!! the food was Magnificent! …it was worth it! We got some great pictures... The staff is super nice and attentive, and they go the extra mile to help you. The food was delicious …many of our guests commented on how good the food was… All the servers did a great job…the venue is beautiful, the food is great, and the staff was wonderful! …the most beautiful that you will find…the service is top notch! We couldn't have asked for a better experience. We had an amazing wedding. More beautiful than we could have ever imagined (and the food was amazing). I know we will definitely be having our 25 year anniversary here! Thank you all for an amazing event! We are still on cloud nine from our dream wedding at this glamorous venue. I have heard nothing but rave reviews from every single guest. Everything was timed to the tee and smoothly carried out on the Big Day… My walk down the beautiful dramatic stairs in the Candela Room had everyone in tears. I felt like a princess… I don't think our guests ever experienced a moment of boredom or hunger or confusion. In addition, the food was simply delicious! The Bell Tower in itself is a gorgeous villa-style location. Our pictures are stunning. It was fun, beautiful, and memorable. The Bell Tower is for those brides who want a spectacular, unforgettable, fairy tale wedding. I simply can't thank them enough for giving me a day filled with beauty and fun. The Bell Tower was simply a wonderful venue for our wedding. The Bell Tower clearly embraced the philosophy of providing superior customer service. Since the wedding, we have received many, many compliments on the venue, the food, and the overall atmosphere of the wedding. I am SO happy that we chose this location to create our special memories. Top notch service and absolutely gorgeous venue! We made the right decision with our venue! The bell tower is a gorgeous facility …staff are very accommodating…the food was excellent…we loved having our wedding there. This venue is beautiful! Our guests are still raving about the flawless service they received. Thank you, Bell Tower for making my daughter’s wedding a dream come true. Wow, what can I say, the Bell Tower really blew us away on our wedding day. Everything from the professionalism to the food and in between! It was amazing… We received numerous compliments on the venue for it's beauty…everything ran smoothly and according to plan. The food was a big hit and as usual the open bar:) It was definitely a day we'll cherish for the rest of our lives! The Bell Tower on 34th is the perfect venue for brides that would love a wedding that feels as if you are in a fairy tale. The Bell Tower allows you to truly enjoy the wedding planning process. I would definitely recommend this venue to ANY bride....but especially to the brides that want a stress free wedding experience. We are so glad we chose The Bell Tower for our wedding! The venue is gorgeous on its own and the food was amazing. We had a blast and would definitely recommend The Bell Tower to others! The Bell Tower was my dream venue…I could go on and on about how beautiful the venue is, the amazing food, the attentive staff, the valet service for ease of parking, the creativity put into our signature drinks, and of course, stellar service all around. We absolutely loved the venue! The venue is beautiful! Many of our guests commented on what a gorgeous venue it was. Aside from the beauty, the food was also excellent! Several people told us it was the best wedding food they had had! We heard SO many positive things. The place was absolutely beautiful and everyone loved the food! I wish it never had to end. Thank you! Such a great venue for ceremony and reception! …we were very, very, very satisfied with everything! The quality of service, food, value and everything else they offered is excellent! We have received nothing but positive raves… We were over the top satisfied with with quality of service and professionalism of the staff The food was awesome!!!! …you will not regret your decision to go with the Bell Tower for your venue for any occasion; we highly recommend them without any reservations. We loved everything about the Bell Tower. The service, the food and staff were amazing. We had so many of our guests comment how wonderful everything was, especially the food and venue. The staff on our wedding day was simply 'The Best'...It's truly worth every penny! The venue is absolutely beautiful! …such an elegant space is just the most amazing experience. Many of our guests said it was most beautiful wedding they had ever attended… Getting married at the Bell Tower was the best decision. We could not be happier! We got so many compliments on the room, the monogram, the cake, the food! Compliments to the chef! We would also like to compliment your wait staff. They were great from the beginning to the end. Everything was beyond expectation from friendly staff to venue and food. I highly recommend The Bell Tower on 34th for your special or monthly events. When it comes to beauty, elegance, charm, and many other pure qualities…It remains a dreamy spot in our memories as a superb venue we chose for both our ceremony and reception on a beautiful night in September. Our guests from all over the US were very pleased with our venue. Groom says: "...that night, I actually didn't want to leave the place...it was a dreamy feeling...I just wanted time to stop so I could be in that time/space combination forever." The staff is excellent … I have recommended the Bell Tower on 34th street to many who want venues with reliability and gracious style. …beautiful and delicious. Everyone commented on the quality of the food as well as the attentiveness of the staff and the spectacular surroundings. A great time was had by all. Everything went smooth and wonderful. …excellent and professional service I was treated with dignity and respect at all times during the year that we took to plan the event. It was everything we hoped for. Many of our guests said it was the prettiest venue and nicest wedding they had ever been to. Our relatives will be talking about it for months. I can't think of a single thing that could have been better. ….absolutely PERFECT in every single way. The night could not have been more perfect. Staff and service was excellent. Food was great. Venue was gorgeous. You get what you pay for, and Bell Tower was definitely worth it. The food was delicious my guest raved about it…Everyone loved the food. Everything was coordinated to perfection and everyone there did awesome. The venue was perfect. Food was great! …it was everything I had hoped for my dream wedding...The Bell Tower is a very beautiful place-very romantic. The food, beverage, and service was excellent. They exceeded all my expectations… I highly recommend this Venue for any occasion. Incredible venue and impressive staff! I was treated like royalty from the moment I walked in on my wedding day and every single detail was thought of and taken care of before I even spoke. It was very important to me and my family that every detail and vendor of that day was taken care of by the Bell Tower staff so that we could enjoy the wedding- and that is exactly what we got! Our guests were very impressed! I could not be more pleased…the venue is beautiful this is why I chose it…my experience with The Bell Tower was great! I am extremely pleased with the service that I received from The Bell Tower on 34th! There is no denying, this place is awesomely beautiful!! !…my wedding turned out beautifully…I got exactly what I wanted! The staff was awesome, understanding and accommodating…our guests said that service was excellent. I would recommend this venue hands down. It's worth the investment!! We couldn't be happier with our venue! Everyone was so helpful and responsive and sweet. The venue is breathtakingly beautiful and our guests were all in awe. My night was memorable and amazing. Highly recommended venue… My night was amazing! Beautiful venue, Great food/drink, wonderful staff…worth every penny. I am extremely pleased with the service that I received from The Bell Tower on 34th! There is no denying, this place is awesomely beautiful!!! They were so hands on and they truly cared about the outcome of my client's big day. I totally recommend having your wedding at the Bell Tower on 34th! If you are debating whether or not to book this venue, DO IT. The food and service was amazing. I never had to worry on our wedding day. Everything was perfect. The Bell Tower on 34th is by far the best wedding venue in Houston! It was an absolute dream come true! The entire planning process was easy and fun! (AMAZING FOOD - ALL OF IT... we could not have asked for a better experience. Our wedding day was executed perfectly…every detail was executed without a hitch! Our guests are still talking about how BEAUTIFUL the venue was and how AMAZING the food and drinks were! Best venue hands down… We would do it all over again in a heartbeat!! If you are looking for an elegant location to have your wedding in Houston, Texas the Bell Tower on 34th is the place to have it…the location is gorgeous… The Bell Tower provides top-notch services …you will not be disappointed…the venue was setup so amazing with classical music playing in the background. The wait-staff was very attentive and knowledgeable… All the food was so amazing…I highly recommend this location for weddings and any other event your guest will really be impressed. The service is ALWAYS top notch! The food is out of this world, and their chef is something special. I HIGHLY recommend using the Bell Tower for all your events!!! Bell Tower was the perfect location for our perfect wedding. They really made my wedding a very special day. Everything was beautiful and organized. Everything was so pretty and it all went off without a hitch. Everyone at the wedding had a great time and so many of our guests told us how much fun they had and how pretty everything was and how much they liked the food. I can't imagine having anything else, anywhere else or with anyone else. I have never heard (or seen on Facebook) so many people love a wedding as much as they did ours. Wow... what can I say! The Bell Tower on 34th will forever stay precious to my heart. We couldn't have picked another venue than this one. We were completely blown away and impressed with the professional team and wonderful experience it was. Our wedding day was more than perfect, thanks to The Bell Tower…Completely exceeded our expectations. We want to thank everyone at this location for a Beautiful and spectacular Memory! We are so very thankful and appreciative of how stress-free our day was… We are still receiving compliments of how beautiful the venue was and how organized both the ceremony and reception was. My experience can be explained as nothing less than magical …the venue is amazingly gorgeous… I cannot imagine myself choosing another venue after seeing this exquisite place. The Bell Tower staff made our wedding day so special. They were very professional and made our dream come true. It was more than we could have ever imagined…our guests loved it. Mary and I will forever remember our big day and the great home the Bell Tower was for it. I have not stopped hearing praises from my wedding night-- From the service, food, atmosphere, venue, and organization of everything. …we have had an amazing experience working with their team… Their attention to detail and service is bar none…the aesthetics of the venue really establish the Bell Tower as an extravagant host… Because of such great service and awesome feedback from our colleagues, we have worked with them on multiple events! We definitely recommend this venue for all those looking to work with a dedicated staff of professionals. We are glad that we chose The Bell Tower . 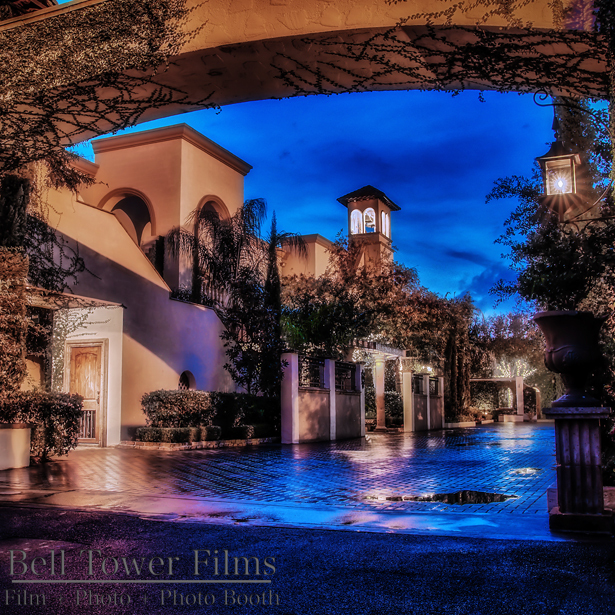 Beautiful Venue & Excellent Service…The staff at the Bell Tower did an excellent job coordinating and servicing my event. It was well worth it. My guests had a blast and many said it was the best wedding they have been to. Great food, great service, great atmosphere! This venue is absolutely gorgeous to where you need very little decorating. We continue to receive compliments on how gorgeous the wedding was, how organized everything was, and how the food tasted amazing! I loved everything about my wedding at The Bell Tower. Our wedding was beautiful…I couldn't have asked for a better venue for my wedding! Everything turned out more beautiful than expected…The planning process and food tasting was amazing and we were excited throughout the whole process. People still tell us our wedding was the best they had ever been to, and it was months ago! …it was an amazing experience and our photos look amazing! There isn't enough I can say to express how amazing our day was at the Bell Tower…all we had to do was enjoy our day. The staff was equally amazing. We felt so taken care of. The venue itself is so beautiful and my husband and I were so happy with our choice. Our wedding pictures look amazing with the Bell Tower as the backdrop! Everything about my wedding was perfect and everyone loved it! The bell tower is such a beautiful venue and the staff there is wonderful. The venue is just fabulous. The food was great and the venue was very accommodating. We couldn't be happier that we chose The Bell Tower for our wedding. The venue itself was breath taking; like stepping into a bride's dream. As a matter of fact, my daughter described The Bell Tower as her "dream venue". We felt like the entire day was out of a movie of perfection and beauty…the staff was at our every need with a smile. The food was excellent. Our friends are still complementing the food a week later. The chef did an outstanding job in both taste and presentation. I can't say enough! It's a ten all the way!! …the Bell Tower met our expectations and more… Our guests were constantly telling us how grand and beautiful the wedding looked, how well it was organized, and how it was the best food they’ve had at a wedding. All in all, an AMAZING venue. This place is so beautiful and I will always remember our wedding and how The Bell Tower on 34th St. made it so memorable and special. The food was AMAZING and our guests loved it. I would recommend this place time and time again. My husband and I got married on August 19th at The Bell Tower on 34th in the Contessa. I could not ask for a better experience... All of our guests were raving about the venue, food, and staff. I would recommend the Bell Tower on 34th in a heartbeat to anyone who is looking for a venue.